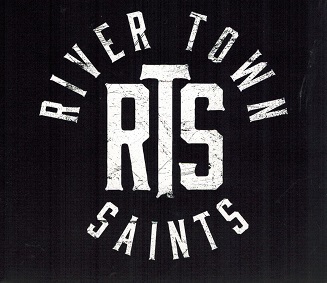 River Town Saints, Country Group from Ottawa, Ontario releasedtheir self-titled CD in June 2017, and received much success to date. Band members are Chris McComb, Jeremy Bortot, Jordan Potivan and Daniel Di Giacomo. Unfortunately Daniel passed away unexpectedly on February 21, 2019 at age 31. The band signed on with Open Road Recordings in July 2015 and released their debut single from this album entitled, A Little Bit Goes A Long Way in November of that same year. The song debuted on the Billboard Canada Country Chart in January 2016 eventually peaking at #31. A follow up single entitled, Cherry Bomb released on May 6, 2016 saw greater success, peaking at #24 on the Billboard Canadian Country Charts. 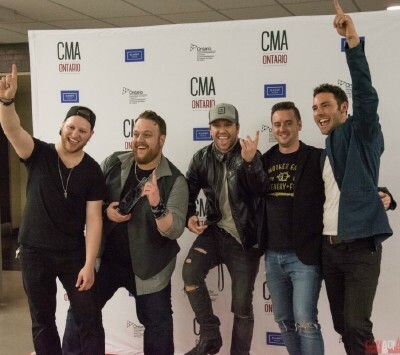 Their third single Bonfire from the same album, in January 2017 was their first song to debut on the Canadian Country Top 40, coming at #39 the first week on the radio. It went on to become the band's first Top 10 hit in April 2017, peaking at #9. Chris Labelle, vocals-Jeremy Bortot, guitar-Chris McComb, guitarDan Di Giacomb, bass-Jordan Potivin, drums. In 2016 the band was nominated for the CCMA award in the Rising Star Category and Group of the Year but won Single of the Year for Cherry Bomb from this album. In 2017 they were nominated for Rising Star, Fans Choice and Music Video of the year for Cherry Bomb from this album. For more information regarding the band and their music, go to their website, address posted above.